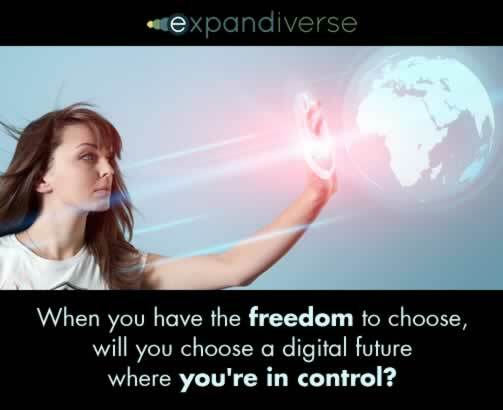 To find out how far your digital life could expand, today’s choices rely on technologists with crystal balls, politicians with crystal egos and CEO’s with crystal paychecks. If you’re a kid, you may SO want to believe that there’s got to be something more exciting about getting ready for your future than, you know, school and college. You might be a loyal citizen who wants to believe your society will actually regain a fast-growth economy — the kind where everyone has a chance to be prosperous. Could one or more of them take Expandiverse Tech and make it their competitive advantage? Could they cherry pick it to start bringing it to you… today? Could they build on that, using it as their IP weapon until it expires — in 2031? Share the post "You know surround sound? Now think surround digital"